From June 27 to 29, specialists from Energomashspetsstal took part in the 25th international energy exhibition and POWER-GEN Europe conference in Cologne, Germany. For participants of the world exhibition, EMSS representatives presented the enterprise’s capabilities in the production of equipment for nuclear power plants and power engineering in general. Negotiations were held with a number of leading experts in the field of manufacturing equipment in the energy sector. “For our enterprise this is a good springboard for starting cooperation with new partners, presenting wide opportunities for EMSS, getting acquainted with the latest achievements in the global energy industry and identifying new opportunities for doing business. 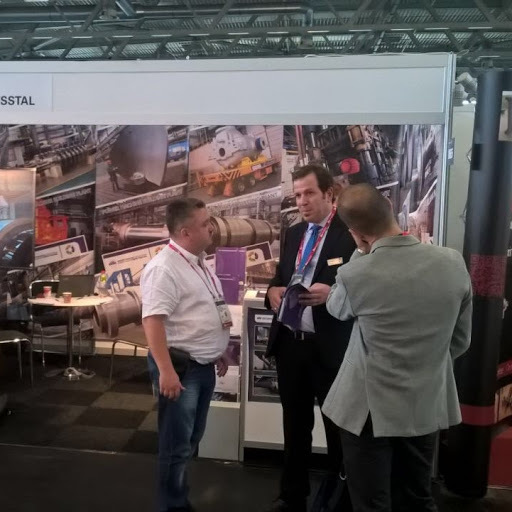 In addition, we held strategic negotiations with such well-known companies as Cimtas (Turkey), Fincantieri (Italy), Ansaldo (Italy), Voith (Austria), GE-Triveni Turbines (India), General turbo (Romania) and other world leaders companies, “says Oleg Khanin, head of the sales department for power engineering at PJSC” EMSS “. In total, about 400 leading world companies and enterprises of the energy industry took part in the exhibition. Also within the framework of the exhibition POWER-GEN Europe was organized a specialized exposition of renewable energy sources – RENEWABLE ENERGY WORLD .